And the winner is…Comment no’ 3 – Christine! Congratulations Christine, I’ll be in touch soon to get your address! Thank you to all of you who left a comment! 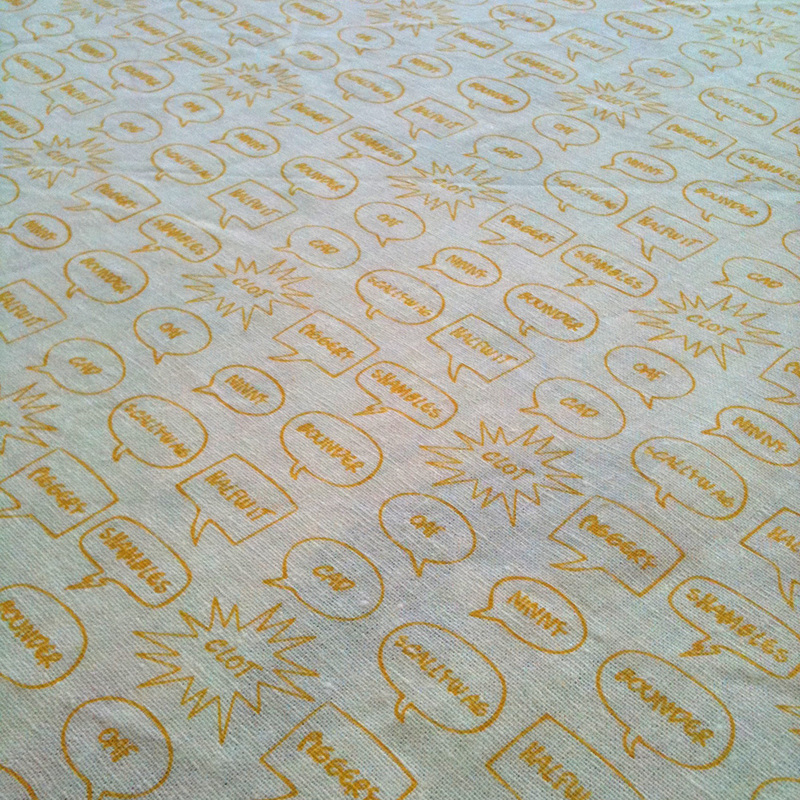 The English Insults fabric is now available to buy in my Etsy shop, the pieces are approximately 36 x 53cm (14″ x 21″). I really love this print, it’s got some great words on it such as ninny, cad, bounder and my personal favourite – Piggery! Look out for more designs coming soon! I love this print! What a great idea!